Would you trust a partially blind eye surgeon to do surgery on your eye or would you prefer to have a surgeon with perfectly clear eyesight? The eye is a delicate organ and one that must be handled with care. You would want someone who can see clearly and handle the surgery with great care and gentleness and with preciseness. It is no different with the souls of people. If we had an issue that needed to be addressed in our lives, we would want someone who could see clearly. We would want someone who has a true spiritual vision, in their own lives and then into mine. They can't remove a speck from my eye with a beam in theirs. Jesus is giving us a clear picture here of how we tend to handle the blemishes and faults of others. Jesus is reminding us that we are far too quick to tolerate our sin over the sin of others. Many times instead of being constructive in the care of others sin issues we can find ourselves being destructive. 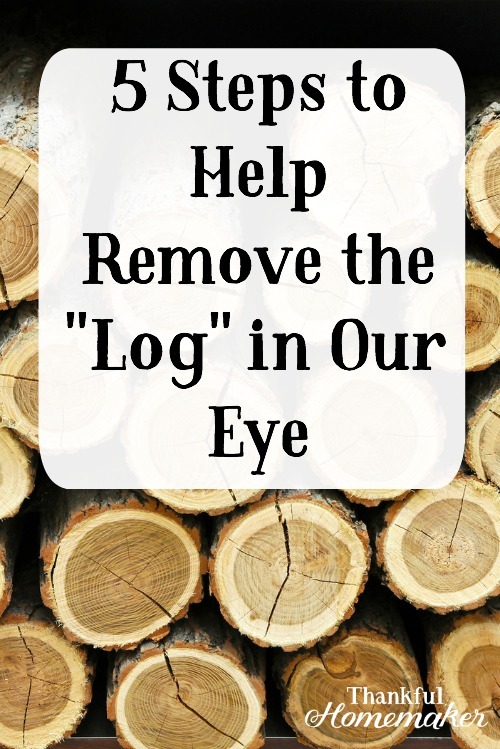 We don't take the time to remove the log out of our eye before we go digging out someone's speck. We need to help the brother with the speck in his eye, but Jesus is just telling us to deal first with the plank in our own. When we do this, we are humbled and ready to love our brother and remove that speck with the gentlest and most loving care and concern for their soul. We know we are judging wrongly when we lack mercy, and we have a self-righteous attitude. We need to seek the Lord to help us in seeing our sins, that He would bring them into the light so we can deal with them, ask God to remove them, so we can see to help our brother. We want to be able to be a gentle “eye” surgeon. In Chrisitan Living in the Home, Jay Adams has some helpful tips in the last chapter of dealing with the logs in our eyes. He has us to work through our sinful ways and ask ourselves what God wants us to do about them. I've adapted his thoughts to put together some steps to help us in dealing with our planks. Take the time to ask the Lord to search your heart (Psalm 139:23). Pray and ask the Lord where there is unconfessed sin in your life. Get specific. Confessing our sin is something we should be doing on a daily basis. On a sheet of paper make two columns side-by-side. 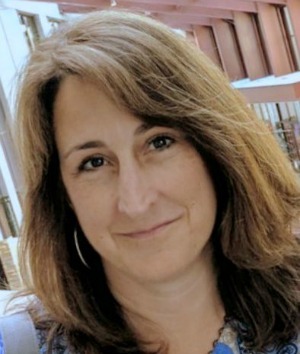 On the first column write, “My Sinful Ways.” On the second column write, “What God Wants Me to Do About Them.” Look at God's Word and write out specific verses that address each of the sinful areas you're struggling with. Seek forgiveness to those you have hurt. Your husband or children or parents etc. Let them know you have sought God's forgiveness and now you humbly desire to seek theirs. You only speak of your sins and failures here. Be ready that the other person may not forgive you, but you are doing this in obedience to God and cannot determine their reactions. They may have faults in the situation, but you are only addressing yours, so you need to do this without any expectation on the responses of others. Again, you are acting in obedience to God and desire to please Him (Colossians 3:13, Matthew 5:23-24). Make sure you right any wrongs that you can and pray that the Lord would help you to break these sinful patterns or areas in your life. We are good at finding specks, but there was a saying that for every one finger we point at someone we need to point four back at ourselves. The more critical our attitude of others is, the more we will be blind to our own faults. May we seek the Lord and ask Him to do spiritual surgery on us first, so we may confess, repent and mourn over our own sin. This next section comes from my closing notes on a recent sermon from church – we're working through the Sermon on the Mount as we go through the book of Matthew and Pastor Ross had some helpful thoughts as to how we can judge biblically. You can listen to the whole sermon called Instruction About Judging here. Judge others with humility; we need to see each other as fellow tax collectors. Get the pieces gently out of each other's eyes (Galatians 6:1). With a clarity of vision. Get the log out of your own eye. Admit your own sin in humble confession before God. It should be caring confrontation and not a mission to find wrong in the lives of others. It needs to be motivated by care and love for the other person.